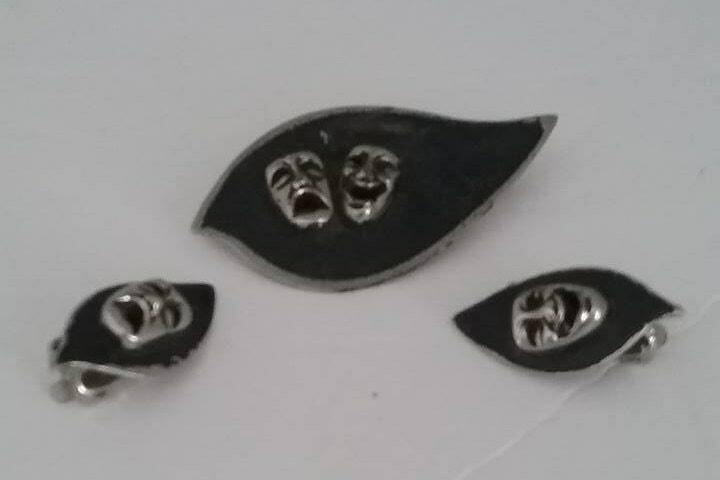 Comedy and tragedy muses jewelry. 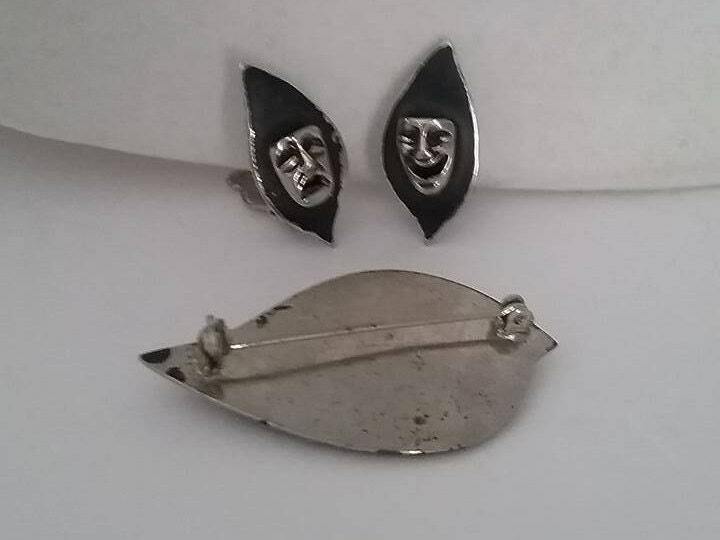 Comedy and tragedy muses brooch and clip-on earrings. 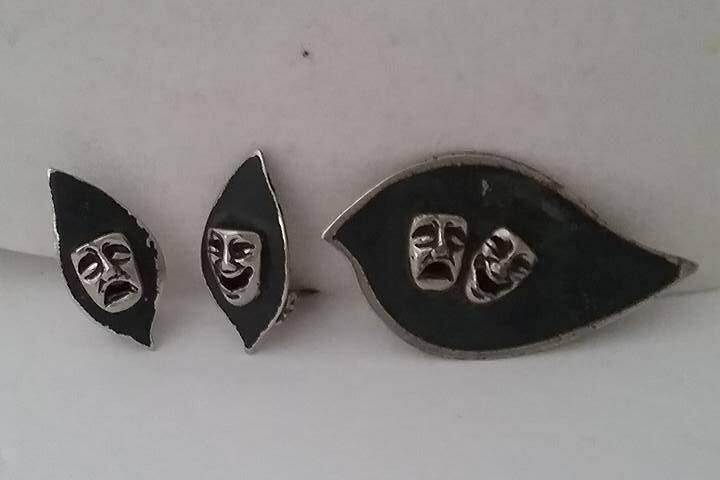 Comedy, or laughing face is Melpomene Muse, and the weeping face is Thalia. 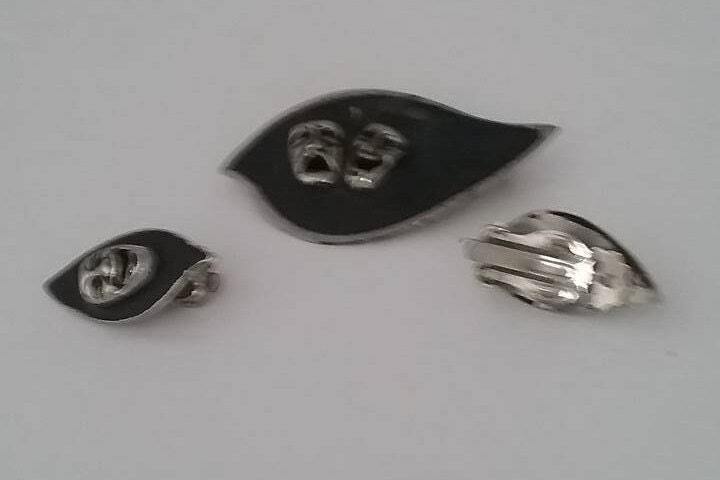 Both appear silver tone on black enamel brooch, and one of each on matching clip-on earring. A very unusual, yet stunning vintage set. Ideal for those in love with the lime light! 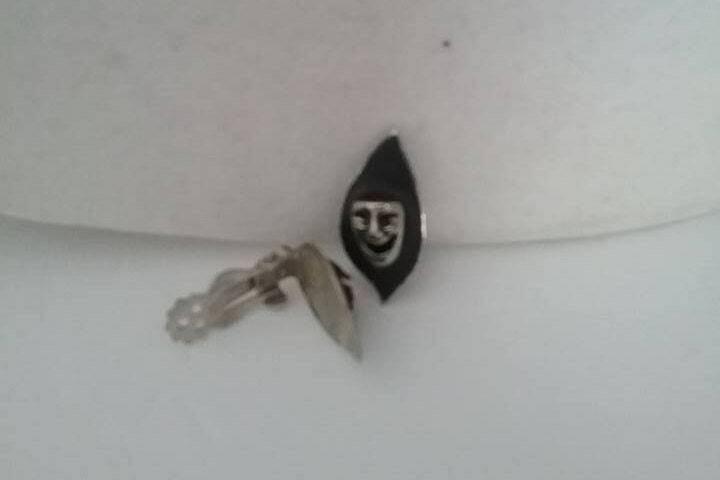 Very good vintage condition, with some wear in spots on back of brooch....can be seen clearly in picture.